The Space is a bright and airy meeting place which is largely used as a gathering space. It has a unique ambience with a blend of new and old furniture. The Space can be used outwith Cafe Connect opening hours. It is ideal for cafe style or relaxed meetings. Or the cafe tables can be cleared to one side to use the area flexibly. The Space is divided from the Kinfauns Room by a large soundproofed partition which has two positions allowing the area to be larger or smaller. The Kinfauns Room is a carpeted, comfortable and spacious conference or meeting room. It benefits from incredible lighting, comfortable seating, a large stage, loudspeaking, 75” TV screens or drop down central screen and video projector. The Kinfauns Room is divided from the Space by a large soundproofed partition which can be in either of two positions to allow the Kinfauns Room to be used as a larger or smaller area. Carpeted, conference seating, stage, loud speaking, 75” TV screen, video-projector and drop down screen. Trolley with tea, coffee can be provided. Carpeted, conference seating, stage, loud-speaking, 2 x 75” TV screens, video-projector and drop down screen. Trolley with tea, coffee can be provided. Carpeted and vinyl areas, loud speaking, video projector, 2 x 75” TV screens, one 40” screen, conference seating, cafe wooden seating, serving counter. The Cairnie Room is highly suitable for group or committee use. It has a self-contained kitchen area for refreshments and access to tables and conference style chairs. Chairs and tables for younger children are also available. With sink and vinyl flooring it is a suitable area for crafts or refreshments. It can be used on its own (separated by a soundproofed screen from the Castle Room) or booked with the Castle Room. Chairs, tables, kettle, microwave, fridge and sink. The Castle Room is a large carpeted room with conference style seating and access to tables. It has beautiful views across to Glencarse and can be booked on its own or with the Cairnie Room. It is is suitable for meetings, groups and conferences. 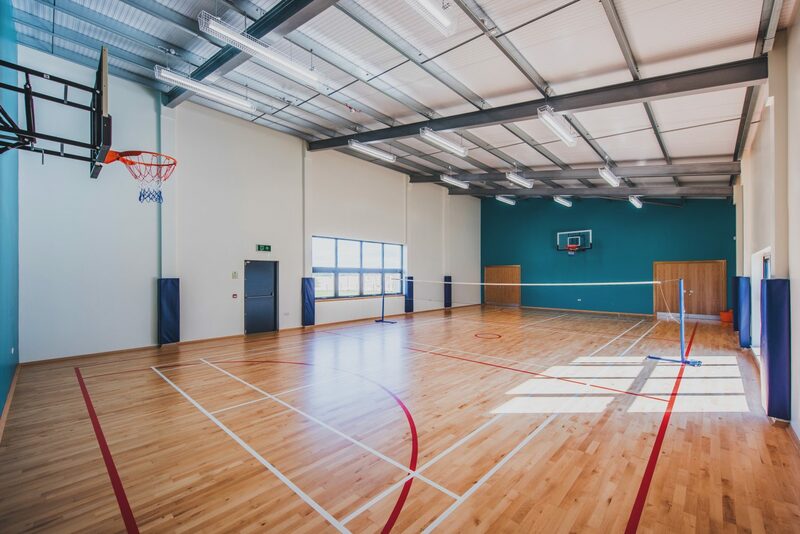 The Glebe Games Hall is a unique facility which provides for a range of sports and fitness activities whilst boasting a pleasant ambience with stunning views across to Glencarse. It can be booked by groups for activities or a court can be hired by individuals. The area can be booked by private instructors at a competitive rate if their class is open to the community. There are also a range of clubs and activities provided in the Glebe Games Hall and these are advertised around the Centre. St Madoes Community Groups can request use of the Games Hall as part of their group activities if they have booked another area. – Funded by the People’s Postcode Lottery this area of planters is laid out with those in wheelchairs and with mobility problems in mind. – The planters are either raised so can be tended without bending down or have a wheelchair recess. – The planters are laid out in the shape of the ancient St Madoes Stone – testimony to the presence of Christianity in the Carse from earliest times. – A gardening group will manage this area- please let us know if you’d like to join – refreshments provided! Provides a further 6 spaces (with 6 more under construction). Fill in the contact form below to request more information about any of the booking options or to request a booking form and make a booking. Available outwith Cafe hours under certain circumstances for accredited personnel. More usual for kitchen to provide a trolley with hot water, tea and coffee for groups using Kinfauns area or the Space. When office is closed money or forms can be placed in the office post box.